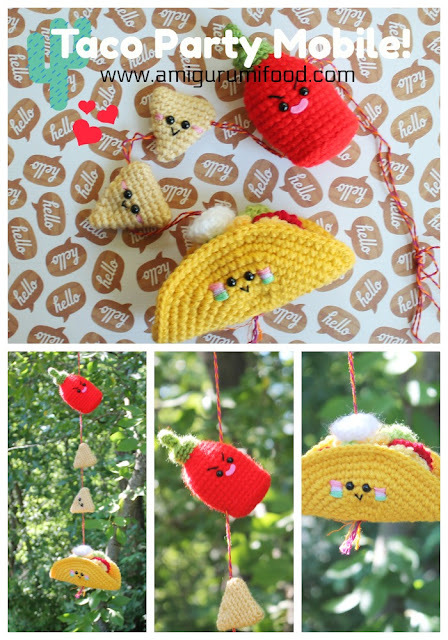 Amigurumi Food: Yummy Bears New Crochet Pattern!! I'm excited to show you my New Pattern that I've working on for a long time. I present to you my second pattern of the year "Yummy Bears". 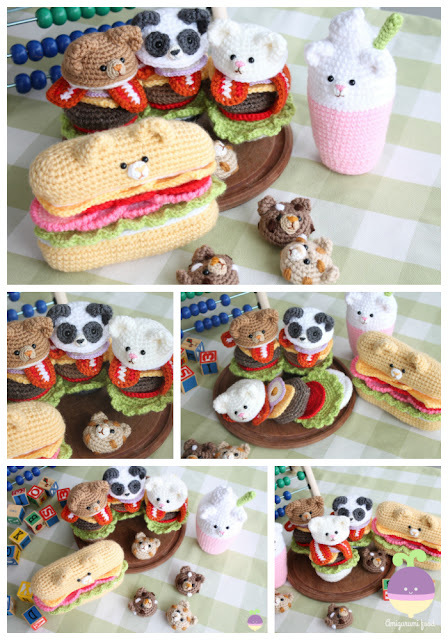 An adorable family of Bear-Burgers, Sandwich/Sub and Bearry Milkshake! You can find this pattern on my Etsy shop! The pattern is very detailed and contain step-by-step photo tutorials/ 30 Pages. I like this! But...where can i find the pattern? This is great!! When will they be available?? These are Adorable! So creative....WOW! I would love to make these, is there a pattern? where can they be found. Thank you for sharing! 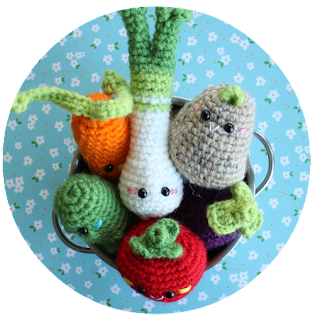 I'm excited to show you my New Free Pattern . So why you answer for questions the pattern is available in your shop? It is for free or for sale ???? Sorry that was a typo error! 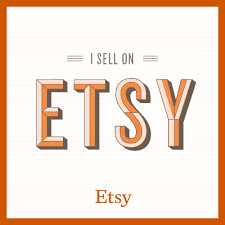 It's available in my Etsy shop!